According to PwC Global Fintech Report 2017, the fintech industry in 2018 has every reason to maintain the reputation of a world innovator. Both advanced information technologies and new models of customer experience management will be the focus. Until now asset management companies have been untouched by the fintech revolution, but now they are taking a greater interest in it: 61% of respondents believe that financial technologies offer great opportunities for their customers, and 30% have already created partnerships with fintech start-ups. According to PwC forecasts, adapting to the new reality will be the most difficult for retail banks. More than 60% of the surveyed bank representatives believe that personal loan activity is seriously threatened by the fintech. To retain their customers banks will have to work on improving customer experience — that is where the alliances with promising start-ups can help, which have already been built by 54% of the surveyed retail banks. Insurance industry is the second largest sector impacted by fintech. Risk identification and assessment are becoming more and more complicated and dictate the need for strategic partnerships. Over the next 3 years 84% of companies are expected to make alliances with fintech projects, compared to 45% in 2017, and only 28% in 2016. About 76% of payments and remittance companies admit that finteсh represents a serious threat to their business. Yet, compared to 2016, these figures dropped — back then 87% of payment companies expressed concerns about the fintech development. This allows analysts to conclude that such companies are getting to recognise financial technologies as an opportunity rather than a threat. In this regard, companies significantly increase investment in data analysis methods, cybersecurity and especially in blockchain. By the way, 9 out of 10 payment companies are expected to implement the latter in their services by 2020. 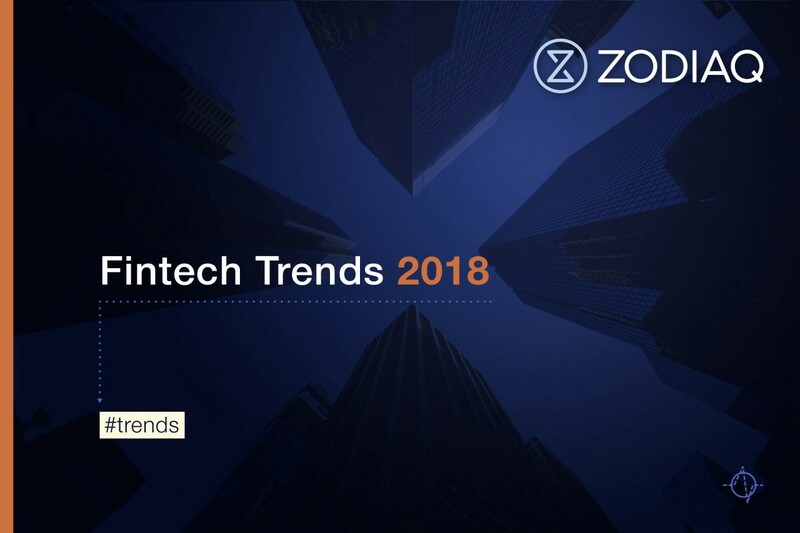 We at ZODIAQ appreciate these trends — the development of modern technologies and the blockchain in particular forces the traditional financial companies to abandon outdated business models and improve their services, making them more convenient and client-oriented.